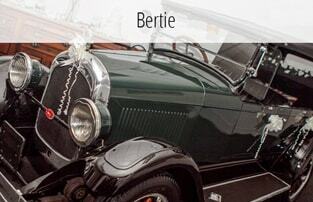 We are a family run business based in Nottingham that specialises in vintage and classic wedding car hire with a beautiful range of classic and vintage cars such as Daimler, Chevrolet and Willy Whippets. Whether it be a family wedding, anniversary trip the theatre or a night out to a prom in and around Nottingham, Silver Lining Wedding and Classic Cars are able to offer a package to suit your special occasion. 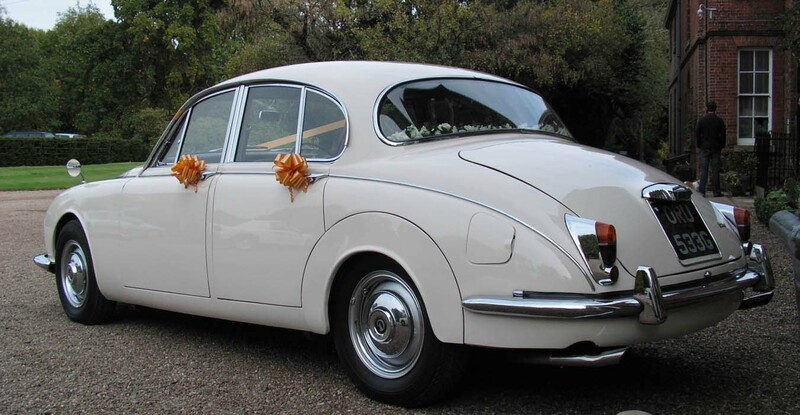 For weddings your car will be adorned with flowers and ribbons in the colour of your choice, (our standard is Ivory). A complimentary bottle of champagne is provided for the happy couple to enjoy with the car. Our cars are maintained meticulously to the highest standards. All our drivers are trained to the highest standards through our own gold chauffeur driver course, so you can be assured of a personal service of all times. Our prices page is offered as a guide only. We pride ourselves on providing individual quotations to suit your own personnel requirements. Please get in touch for an exact price. All of our wedding cars are fully valeted and maintained to the very highest standards. Our chauffeurs have many years of experience and will ensure you have a comfortable and memorable journey on your special day. 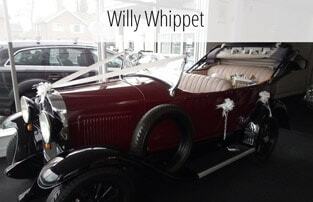 Our Classic Car Collection is sure to inspire you for your wedding and have something to suit your taste, whether you want a beautiful white classic car or a unique, vintage Willy Whippet, we have the perfect car for your special day. One of our main specialities is wedding car hire and with our small knowledgable and friendly team we can take care of your wedding transportation needs and will make the whole process as smooth as possible, we even offer a payment plan to ensure you don't miss out on the car of your dreams. Please contact us for more information or if you have any questions about this or any of our cars. We offer very reasonable wedding car hire prices with no hidden extras or fees and all wedding bookings will recieve a free bottle of champagne as well as your chosen car decorated with ribbons and flowers in a colour of your choice. Very helpful with organising car for my son and his future wife's wedding day. Chauffeur was great, well mannered, well dressed, courteous. Wouldn't hesitate in recommending this company. Дякую Thank you! 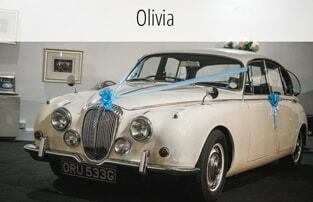 We booked the beautiful Olivia for our wedding car, and from the initial enquiry to the service on the day, everything was seamless. The driver was so patient and professional and even made sure to drive slow because I didn’t want to arrive early at the church! The extra little touches were an unexpected bonus and really added to the experience. Thank you so much, we would definitely recommend! Thank you SO MUCH Roman - cannot recommend Silver Lining Wedding car hire enough...we were greeted in style by the beautiful Olivia (what a car!) with champagne and even a card for us...we had so much fun. Thank you!